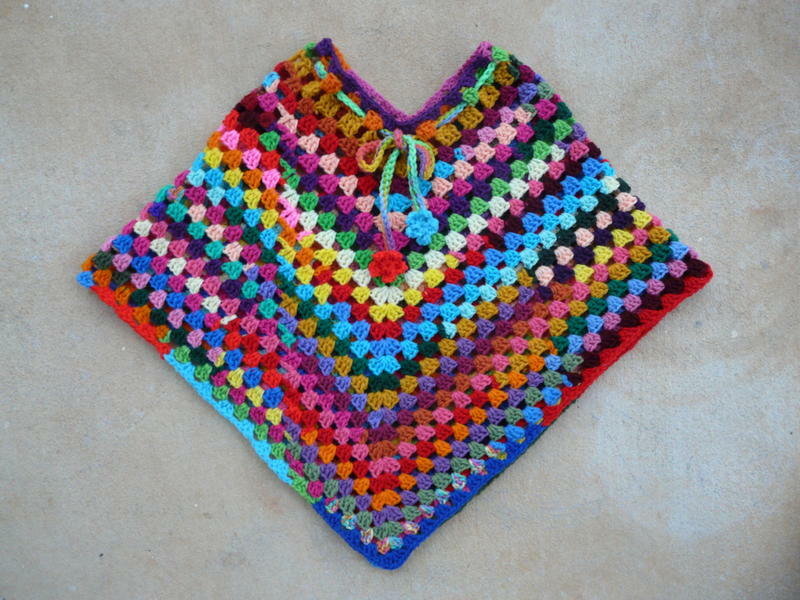 Using the free Lion Brand Groovy Granny Poncho (pattern #40433), and 5.0 mm hook, and a lot of Red Heart Super Saver yarn scraps, I made myself this poncho. I don't know why I felt such a desperate need to make one, but now it's done. You can read the last installment of this adventure (and see additional photos) here. Uber colorful, I like it! So cute! Lovin' the cheerful colors, too! I love it! It's so cheerful! Love the color combo!!!! It looks great! Love the colors. Very pretty! Oh it is so beautiful, I saw it and was reminded of the Bible story the coat of many colors. 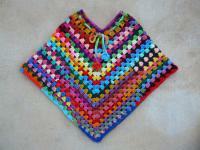 My husband has been after me to crochet a poncho for our six year old grandaughter. You have inspired me to maybe give it a try. so pretty! and great job, y ou look perfect in it as well!! I love it, You have inspired me to make one as well. I needed a new project and this will be it.